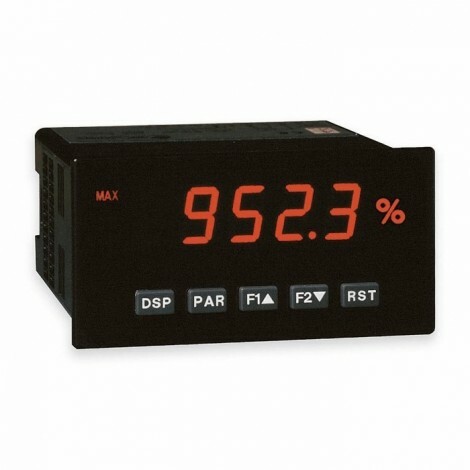 Process meter for sensors with amplified current or tension output. Selectable range Input : 20 mA or 10 VDC. Power supply 85 ... 250 Vac (Option 10-30 VDC and 24 VAC, PAXS0010). Dimension : 1/8 DIN (50 mm x 97 mm), 5 Digit, 0.56" (14 mm) LED.